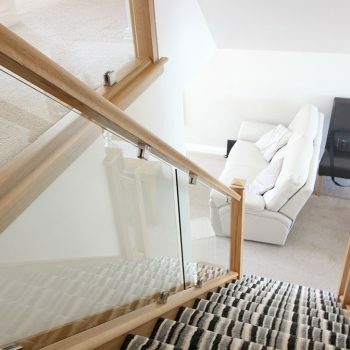 The Roberts family home in Middlewich, was purchased and instantly turned upside down into a large renovation project. 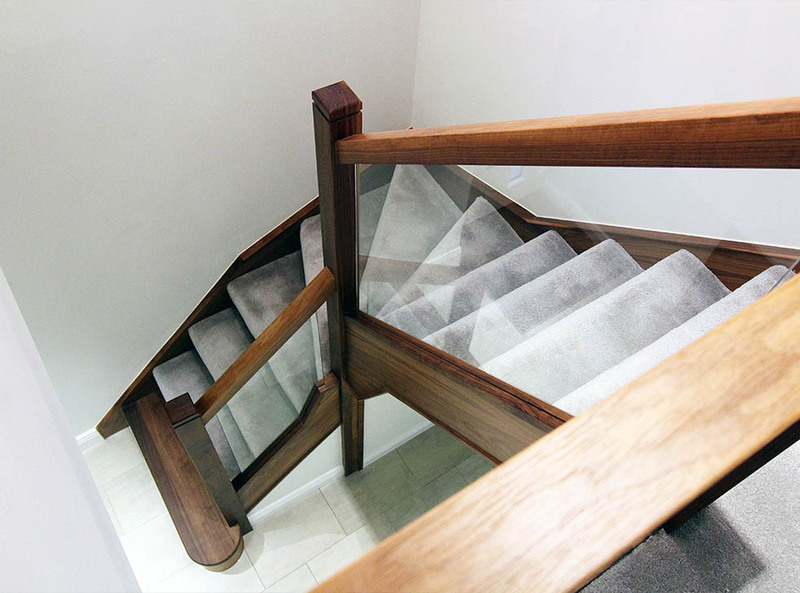 The property was only 8 years old and still featured a structurally sound staircase, in the most appropriate layout for the property. 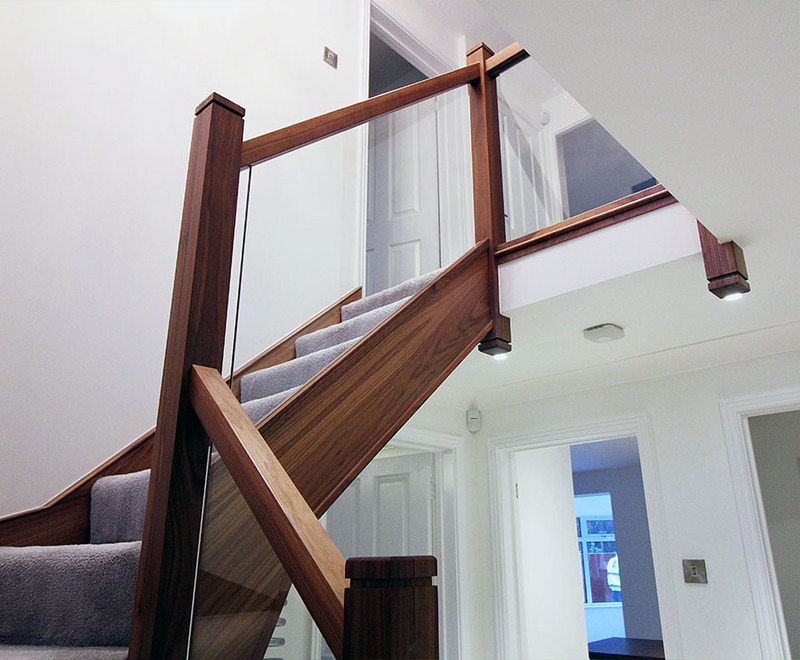 This made the idea to renovate the staircase a very easy decision for us and the Roberts Family. 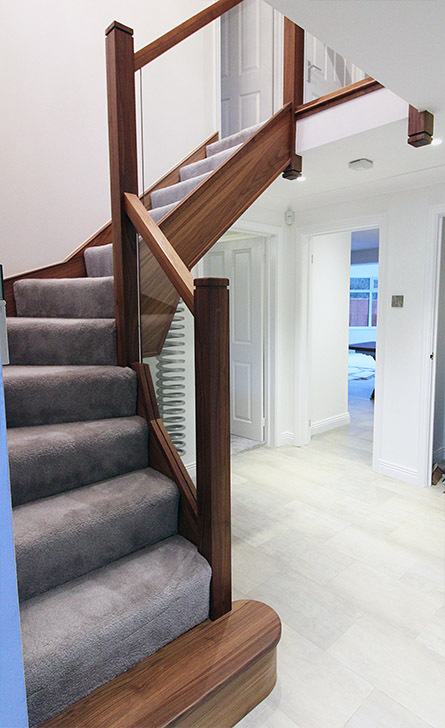 Focusing on neutral tones throughout the property, the Roberts family wanted their staircase to feature a high level of contrast against their new interior. 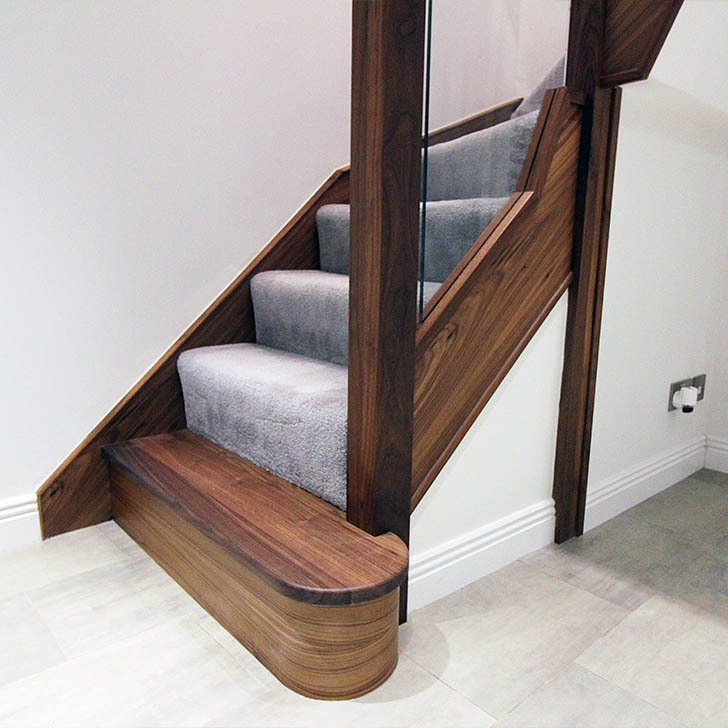 This design brief made American Black Walnut a very favourable option. Walnut offers a wild grain, with no piece ever looking like the next. 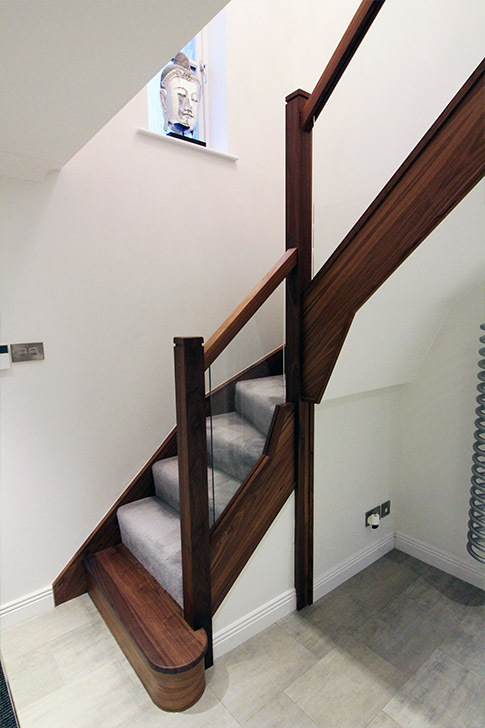 The dark finish mixed with the blonde grain highlights makes this staircase a work of art. 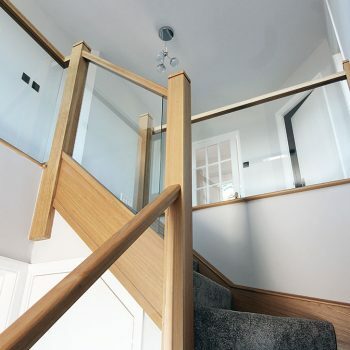 Our inline glass balustrades allow minimal details with no visible fixings, allowing the light to travel around the well opening and entrance hallway with ease, keeping the focus on the American Black Walnut timber that frames the entire staircase. 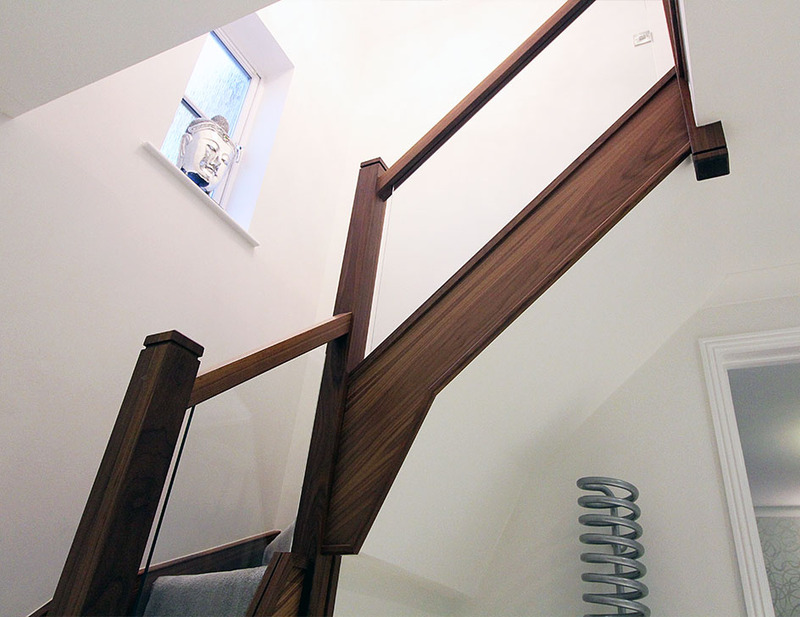 All the sides of the staircase were also finished in the American Black Walnut to bring the old staircase back to life completely. 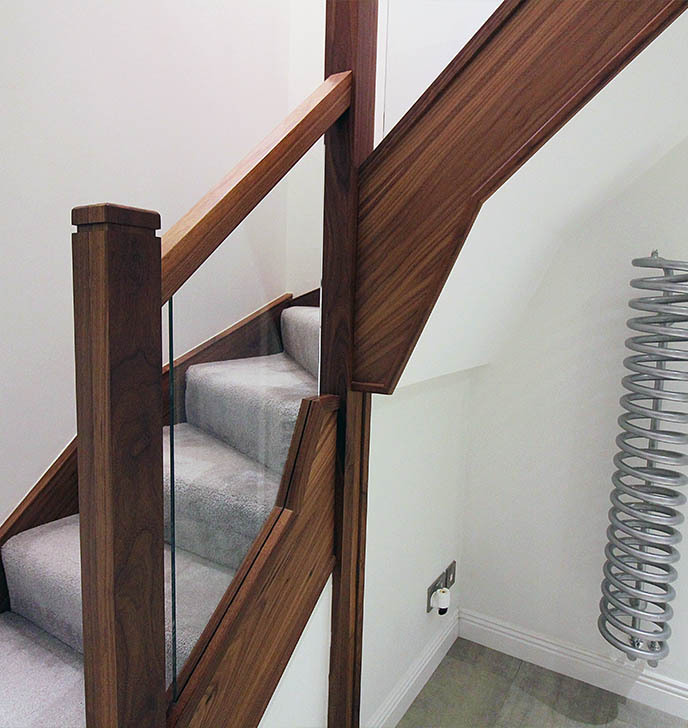 We can offer complete timber cladding throughout the staircase treads and risers to give the illusion of a complete new staircase. Mr and Mrs Hughes liked this idea but decided upon carpet due to their children. 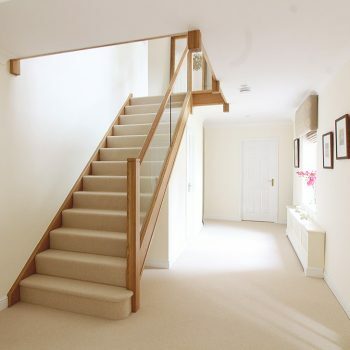 So instead we installed a replacement first step that acts as the final transition between downstairs flooring and the staircase/landing carpet.